Remember That Time Elizabeth Warren Said A Shutdown Was "Anarchy"? 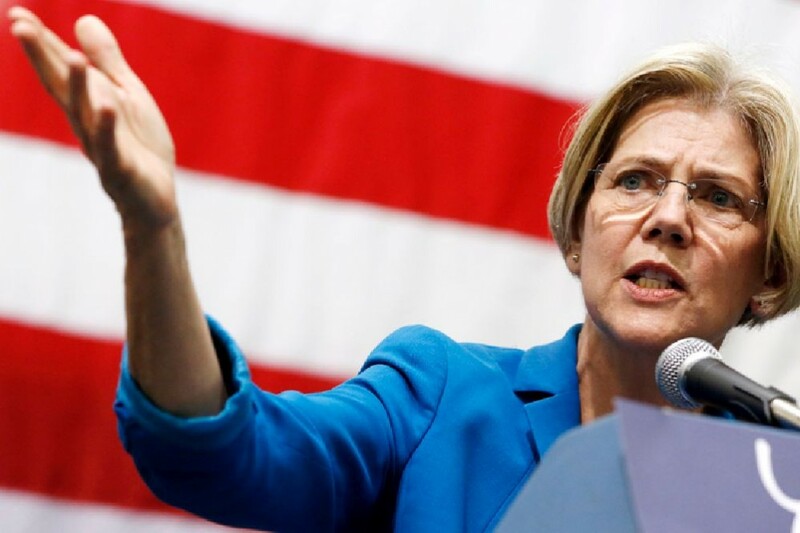 Remember That Time Elizabeth Warren Said A Shutdown Was “Anarchy”? Sen. Elizabeth Warren (D-Mass.) was against government shutdowns before she was for them. Last year, she railed against Republicans and said they wanted to shut down the government in order to prevent food inspections, allow lead into children’s toys manufactured in China, and deform babies through their mothers’ use of unsafe morning sickness pills. You’d think that they believe that the government that functions best is a government that doesn’t function at all. 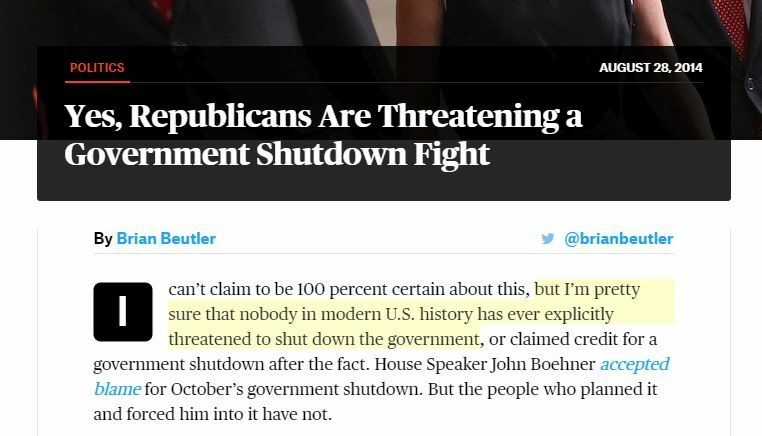 So far, they haven’t ended government, but they have achieved the next best thing: shutting the government down. But behind all the slogans of the Tea Party and all the thinly veiled calls for anarchy in Washington, behind all that, there’s a reality. The American people don’t want the extremist Republican’s bizarre vision of a future without government. They don’t support it. Why? Because the American people know that without government, we would no longer be a great nation with a bright future. The American people know that government matters. The anarchy gang is quick to malign government, but when was the last time anyone called for regulators to go easier on companies that put lead in children’s toys? Or for food inspectors to stop checking whether the meat in our grocery stores is crawling with deadly bacteria? Or for the FDA to ignore whether morning sickness drugs will cause horrible deformities in little babies? We never hear that, not from political leaders in Washington and not from the American people. In fact, whenever the anarchy gang makes headway in their efforts to damage our government, the opposite happens. After the sequester kicked in, Republicans immediately turned around and called on us to protect funding for our national defense and keep the air traffic controllers on the job. And now that the House Republicans have shut down the government, holding the country hostage because of some imaginary health care bogeyman, Republicans almost immediately turned around and called on us to start re-opening parts of our government. Why did they do this? Because the bogeyman government is like the bogeyman under the bed. It’s not real. It doesn’t exist. What is real, what does exist, are all those specific and important things that we as Americans have chosen to do together through our government. In our democracy, government is not some make-believe thing that has an independent will of its own. In our democracy, government is just how we describe the things that we the people have already decided to do together. Weird. I was told last year that threatening to block a spending bill over one provision was tantamount to treason. I was told that hostage-taking during the budget negotiation process was downright un-American. If the current disarray within Democratic ranks is any indication of how life will be for liberals during Obama’s lame duck presidency, we’re all in for quite a show. Let’s just hope that hypocrisy-induced flip-flop whiplash is a pre-existing condition covered by Obamacare.